You’ve got enough on your mind as you start a new term without having to spend time worrying about moving into a new flat. So, we’ve pulled together a checklist if things to make the whole process easier for you. Our first (and most important) point is to travel light. Sure, it would be nice to have every single book, poster, record and piece of tech you own with you. But it’s probably going to be a bit impractical. You’ll get lots of freebies at Freshers’ Week and you’ll be amazed at the amount of stuff you collect over the year. Dull as it may be, make sure you’ve got the basics covered. Do you need to bring any furniture yourself? Will you need to bring waste-paper bins and lamps? What are the security arrangements at your new home like? If you can’t find the answers online, give your halls of residence or landlord a call and ask. Better to ask ‘silly’ questions before they become an issue. Start planning as early as you can. The less time you have to do something the more pressure you’ll be under. And the more likely it is that you’ll have forgotten something. Or, probably, you’ll have forgotten many things. Here are some areas you should spend a bit of time planning. Extension cable – to make sure you have enough plug points (in the right place). Ear plugs – so you can enjoy silence if there’s a party going on (and you don’t want to party). All your device chargers and extras – these can cost a lot to replace, we’re looking at you Apple, so make sure you bring what you need. External storage device for your computer could be a good shout. Games console – gaming is a great way to spend time having fun and getting to know your new housemates. A printer – Do you need one? These can cost a fair bit to maintain and fill with ink. So perhaps look at the university’s resources and decide if you really need one. You usually don’t. But, they can always come in handy when printing at 3am. Bedsheets – duvet cover (check what size you need), pillow cases. Duvet and pillows? Do you need to bring your own? A sleeping bag, in case you have guests. A basic first aid kit – including paracetamol, antiseptic cream, plasters, condoms and a small pair of scissors. A spare toilet roll (trust us – you’ll almost certainly need it if you’re sharing a flat). Stationery – you’ll probably have the basics. Check with your course what other things you’ll need. A sturdy bag. One that’s capable of carrying the equivalent weight of a small moon is probably best. Make an inventory when you arrive. Then you’ll know exactly what should be there when you leave. And it means that any unscrupulous landlord can’t keep your deposit when it’s time for you to move on. And always, always make sure you have a way to contact your landlord. A phone number is often best – some things can’t wait so you need to be able to get hold of them quickly. If you find you’ve brought too much stuff with you, or if you collect too many traffic cones and signs, we’re here to help with storage. 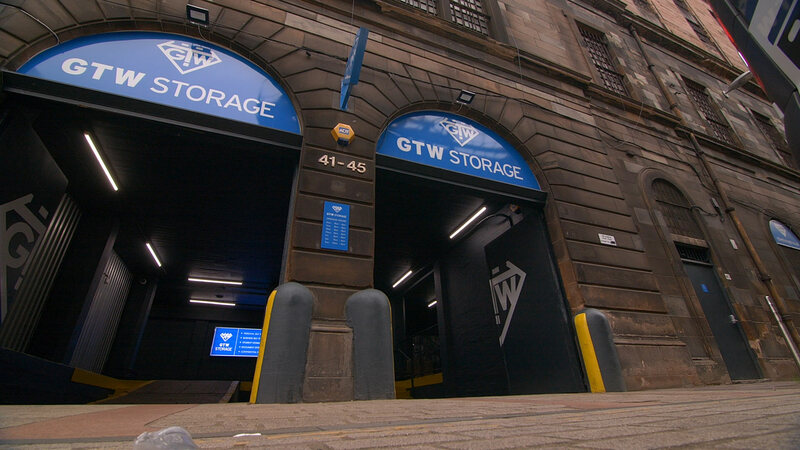 We’re happy to show you round our storage facilities. Our knowledgeable, friendly staff will be on-hand to help you find the most cost-effective storage option. Give us a call or pop in to see how we can help make your student days much, much easier. Get in touch with us today for a quote to store your stuff.